DEAR JERRY: In 1959, as a 16-year-old sophomore, I had my first date with a wonderful girl from my school. Even with trillions of informative pages on the internet, the answer to my question cannot be found. What I did get from Bing and Google is a way to contact you, which may be all I need. I'm trying to identify the specific songs where Elvis hits his lowest and highest notes, which would also provide his range. With about 700 songs, it would be like finding a needle in a haystack for me, and would take years. DEAR VICKIE: As of now, thanks to your curiosity and my good friend Terry Mike Jeffrey, this information will forever be available online. Terry is the only singer-musician I personally know who can identify any note by simply hearing it, or in many cases, from just his amazing memory! Of what exists on recordings, Terry Mike's low-note pick is the live version of “I Got a Woman,” the second track on “Elvis Recorded Live on Stage in Memphis.” Specifically it is the first of five wells (“well, well, well, well, well”) that precede Elvis' comment about an ecstatic fan, “she's louder than I am, but I've got the microphone.” On that “well,” Elvis hits an E2, or the second E below middle C (C4). The other extreme is on the “America” CD, at the very end of “America the Beautiful.” Elvis' usual note at this point is a G4, but for this performance he soars to a C5, a full octave above middle C.
This of course is in full voice and not falsetto, though in “Blue Moon” he hits this same note (C5) in falsetto. I then double-checked these findings with another professional pianist, Lisa Lanza, who said Terry Mike's note analysis was exactly correct. This establishes Presley's range (E2-C5) as just two notes shy of three full octaves (E2-E5), and more expansive than most pop singers. We know thousands of Elvis books and magazines exist, yet I believe this is the first time in print for such a noteworthy examination. DEAR JERRY: Having abandoned new music over 20 years ago, I doubt I would even recognize more than just a few of the artists currently in the Top 100. Once the rap crap became popular, I couldn't get away fast enough. Which makes me wonder how many, if any, of those pre-1990 stars have a hit song or album now? Might there even be someone from the 1950s-'70s? DEAR HAROLD: The answer is either none or 11, depending on which format we examine. Using the most recent charts available as of this writing (May 14), among the current Top 100 singles are a few names you might recognize, though more from being in the tabloids than for their music. One is Britney Spears. This former Mouseketeer's first hit, “...Baby One More Time,” came along in November '98; however, two others have seniority over Spears: Usher and Kenny Chesney. Usher (one man, not a group) first made the Top 100 (singles and albums) in September 1994, and precedes Kenny Chesney's LP chart debut by two years (September 1996). Now for some more familiar names. There are 11 in the Billboard Top 100 albums that you should recognize. 1955: Elvis Presley; Johnny Cash; 1968: Creedence Clearwater Revival; 1970: Eric Clapton (1965 with Yardbirds; 1967 with Cream; 1969 with Blind Faith); 1972: Paul Simon (1957 as Tom & Jerry; 1962 as Tico and the Triumphs; 1963 as Jerry Landis); 1973: Lynyrd Skynyrd; Aerosmith; 1974: Bad Company; 1975: Willie Nelson (1962 on C&W charts); 1975: Emmylou Harris; 1977: Foreigner. IZ ZAT SO? Here are the current (May 14) rankings and titles of the pre-'80s stars. Only the Paul Simon and Emmylou Harris albums are newly recorded. The others are repackages of 20th century recordings. The lyrics for "Lucy" were apparently a work in progress, with plenty of crossings out, though there is no word on whether they help solve that eternal question for conspiracy-seeking fans -- that in the song title, was Lennon making a sly reference to the drug LSD, something he always denied. The editing supports the idea that, while the song was originally inspired by a drawing by Lennon's four-year-old son Julian, 'Lucy' was composed over several hours in the studio with some input from Paul McCartney. It is intriguing to have lines from "She's Leaving Home" on the same page, as that song was mainly McCartney's composition and recorded after "Lucy." Also, rather than a piece of Lewis Carroll-style whimsy, the other tune is based on the true newspaper story of a girl running away from her parents. Alice Cooper is 63, loves to play golf and is looking forward to grandchildren. But he is not done with rock ’n’ roll horror just yet. He is working on a sequel to his best-selling 1975 solo album Welcome to My Nightmare… with three guitar players. A few weeks ago, late in March, a 40th anniversary edition of Bridge Over Troubled Water by Simon and Garfunkel was released. The package incorporates a copy of the original album, beautifully remastered, together with the separately available Live 1969, culled from the duo’s November 1969 series of concerts, and a DVD containing Simon and Garfunkel’s hour-long TV special Songs of America, which aired on the CBS network in 1969 and has been unavailable until now, and a documentary filmed in 2010 about the making of Bridge Over Troubled Water, featuring new interviews with Paul Simon, Arthur Garfunkel and co-producer Roy Halee, none of whom (it must be said) have aged as well as, say, contemporaries Paul McCartney or Mick Jagger. Multinational metallers POWERWOLF have set "Blood Of The Saints" as the title of their fourth album, due in Germany, Austria and Switzerland on July 29; and August in the rest of Europe via Metal Blade Records in Europe. The CD will be released as a regular CD, a limited-edition digibook 2-CD (exact content to be revealed shortly) and on vinyl. 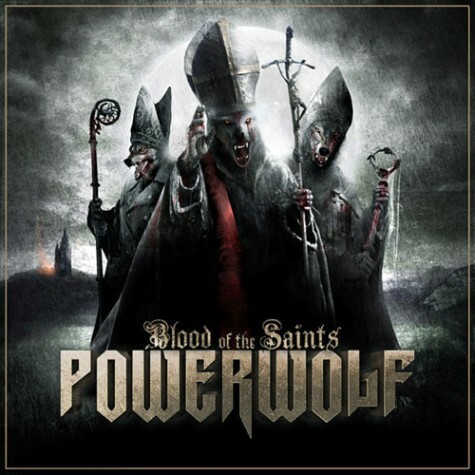 The cover art was created by POWERWOLF guitarist Matthew Greywolf. Paul McCartney is scheduled to release a covers albums in early 2012. It was recorded in Los Angeles and he has said it is comprised of covers from the "pre rock" era. Speaking to Rolling Stone about the release, he said: "It's my dad's style of music. I've wanted to do that kind of thing forever, since The Beatles days. But then Rod went mad on it. I thought, 'I have to wait so it doesn't look like I'm trying to do a Rod.'" The album, which does not yet have a title, will feature a number of songs with jazz singer Diana Krall and McCartney has said each song is one "He admires" and that the album is "Get-home-from-work music." He said: "They're just songs I admire. I'm trying to steer away from the obvious ones. It's get-home-from-work music. You put it on and get a glass of wine." Rhino Records has booked the cutting room at Bernie Grundman Mastering for the vinyl reissue of classic Ramones albums from the late 70s and early 80s. Included in the first series are "Ramones" (1976), "Leave Home" (1977), "Rocket to Russia" (1977), and "Road to Ruin" (1978). Release date is July 19, 2011. Rhino Records' Asset/Media Supervisor Charles Benson joined mastering engineer Chris Bellman in the disc cutting studio to cut lacquers from the original 1/4" analog Dolby stereo masters. Songs to be reissued include "Blitzkrieg Bop," "Beat on the Brat," "Pinhead," "I Wanna Sniff Glue," and "Teenage Lobotomy." 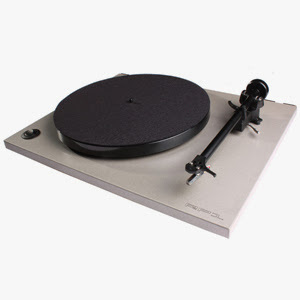 "There has definitely been a renewed interest and resurgence in vinyl releases," remarked Benson. 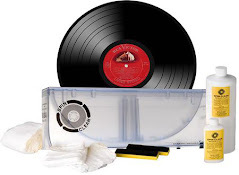 "The young audience is happy to have something they can hold onto in this analog format with large graphic album covers, and something that gives you more of an experience than an mp3 file." After 12 months of tweaking, Brisbane’s Ben Craven is finally ready to release his new album with the finishing touches being made by renowned UK artist Roger Dean. 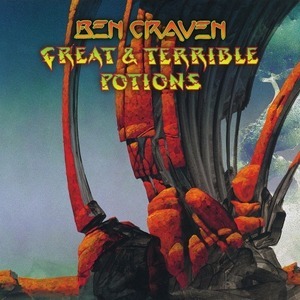 Craven’s new album, entitled “Great & Terrible Potions” is a modern day progressive rock album that has been 5 years in the making. However like all good prog-rock (progressive rock) albums, the final touches are vital. Enlisting the assistance of Roger Dean seemed a natural progression given the heavy influences of 70’s prog-rock bands within Craven’s music. Roger Dean, who rose to fame in the 70’s and 80’s through his designs for prog-rock band “Yes” is credited with transforming the status of album covers from mere packaging to works of art. Uncovering and updating an unreleased piece of art, Dean has provided a cover that will go down in the halls of prog-rock history alongside his most famous work for musicians and bands such as “Yes”, “Asia”, “Uriah Heap”, Rick Wakeman and Alan White. Dean, whose bubble logo for the band “Yes” is part of rock history, also designed Craven’s new logo. Craven said, “It is an honour to be working with an artist whom I’ve grown up with and surreal to believe that he appreciates my work enough to put his name (in art) to it”. To celebrate the release, Craven and Liquid Online Media will also be selling limited edition vinyl copies of the album complete with a traditional gatefold sleeve featuring the Roger Dean artwork. 22. Wax Idols - All Too Human 7"
25. Terry Malts - I'm Neurotic 7"
In 1959, Wilbert Harrison's recording of Leiber and Stoller's "Kansas City" rose to the top of the Billboard singles chart. Cover versions by Hank Ballard and The Midnighters, Rocky Olson, Rockin' Ronald & The Rebels, and Little Richard all appeared in March of 1959, but the Harrison version was by far the most popular. Further success for Harrison would have to wait until 1970 when "Let's Work Together" made it to number 32 in the US. In 1963, after hitting #22 the previous year with "Twistin' Matilda", Jimmy Soul reached #1 on the Billboard chart with "If You Wanna Be Happy", a song about the benefits of marrying an ugly woman. It would prove to be his final entry as the follow-up "Treat 'Em Tough" flopped completely, after which Jimmy entered the US Army. A riot broke out at a Rolling Stones concert in Scotland in 1964 after 4,000 fans showed up with forged tickets. In 1966, the Castiles (with Bruce Springsteen on vocals) made their first recordings at Mr. Music Inc in Brick Town, New Jersey. They cut two Springsteen songs, “Baby I” and “That’s What You Get.” The songs were cut directly to disc, of which seven or eight test pressings of the studio takes were made. In 1968, the North California Rock Festival was held with the Doors, the Grateful Dead, the Steve Miller Band, Taj Mahal, Big Brother & the Holding Company, Country Joe & the Fish and the Jefferson Airplane. In 1975, country singer Tammy Wynette was at #1 on the U.K. singles chart with “Stand by Your Man.” Originally recorded and released as a single in 1968 in the U.S, it proved to be the most successful record of Wynette's career and is one of the most covered songs in the history of country music. The movie The Buddy Holly Story with Gary Busey premiered in Dallas, TX in 1978. In 1985, the Scottish rock band Simple Minds make their breakthrough in North America when "Don't You (Forget About Me") tops the Billboard singles chart. The song was written specifically for the film The Breakfast Club and was only the second tune recorded by the group that they did not write. In 2006, Freddie Garrity, the lead singer of the 1960s band Freddie and the Dreamers died at the age of 65 after receiving treatment for what were described as circulation problems. birthdays today include Albert Hammond (1944) and Rick Wakeman (1949), among others.